Fr. John-Vincent Rouse accepted the founding pastor role and set up the framework for the new parish. Original registrants for the parish totaled appoximately 300 families in July 1997. 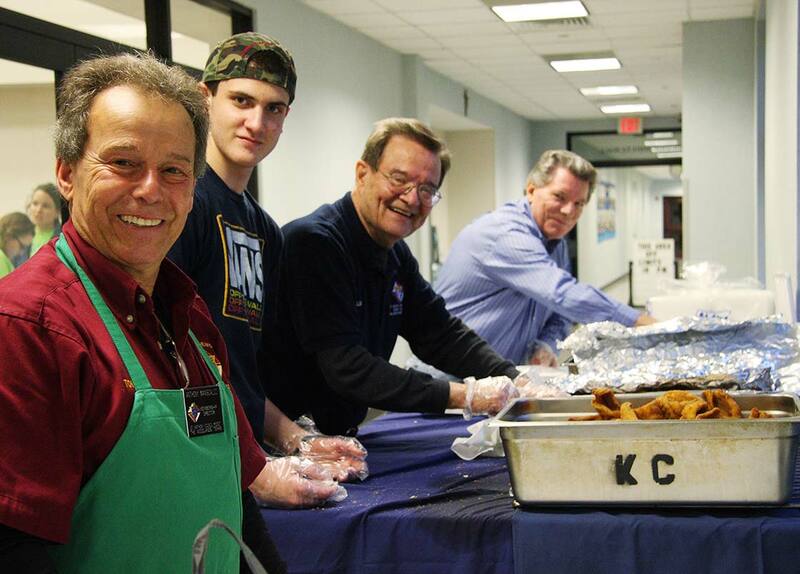 Weekend Masses were celebrated in the cafeteria of Oak Ridge High School and Wednesday evening Masses were celebrated in parishioners’ homes. Most parish organization meetings were held at Montgomery College on Hwy 242, in parishioners’ homes, or at the temporary rectory. 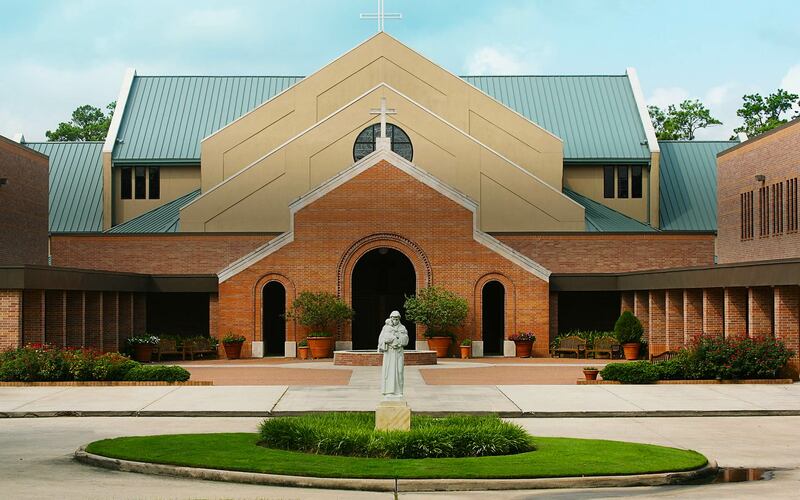 In the Summer of 1997, Bishop Joseph Florenza announced the establishment of a new parish in response to the needs of the growing community of the faithful in The Woodlands, Texas. 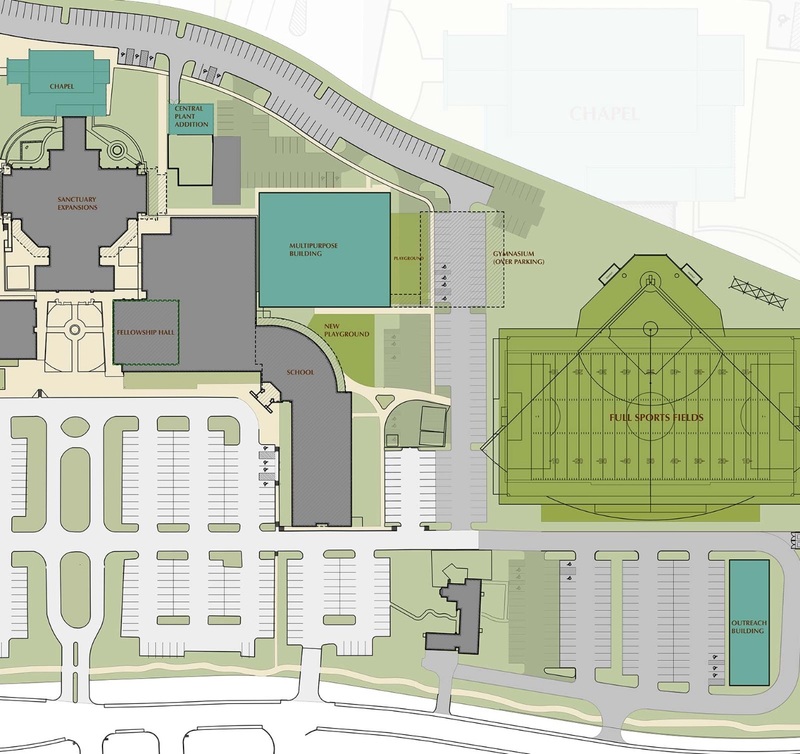 Additionally, a mandate was given to establish the first Catholic elementary school in the rapidly growing South Montgomery County community. Msgr. George A. Sheltz (now Bishop Sheltz) became the pastor in October 1999. 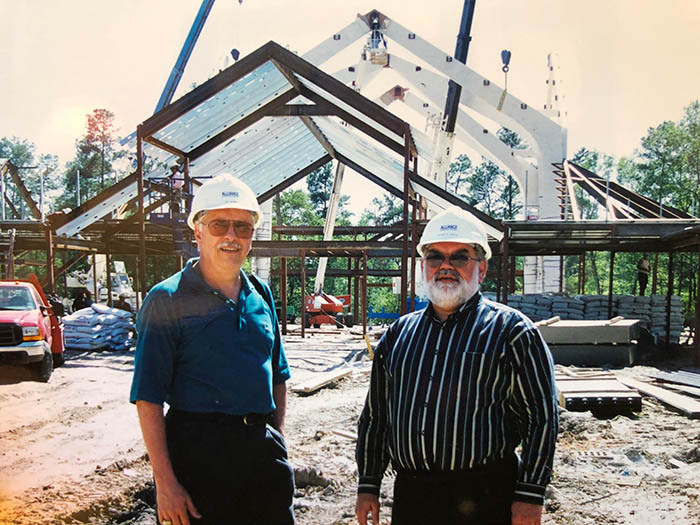 He led the community through its initial building phase with the completion of the first 4 buildings on our campus; the Parish Life Building, Fellowship Hall, the Rectory, and the beautiful new Church. 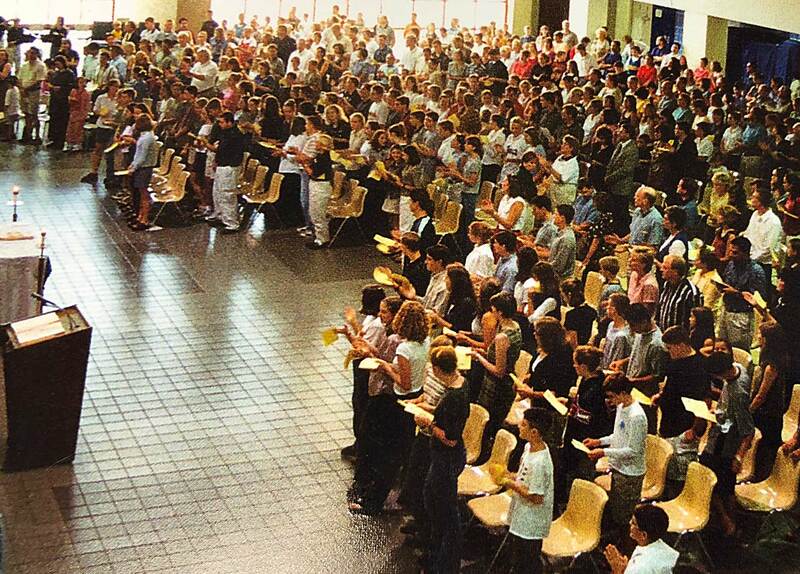 By December 2000, when we celebrated the first Mass in our new church, there were 1,500 families registered in the parish. Over 100 active ministries with many parishioners involved in parish life. In July 2007, Fr Thomas Rafferty became the Pastor of St, Anthony’s Today, We are a growing, vibrant Catholic community of over 6,500 families. 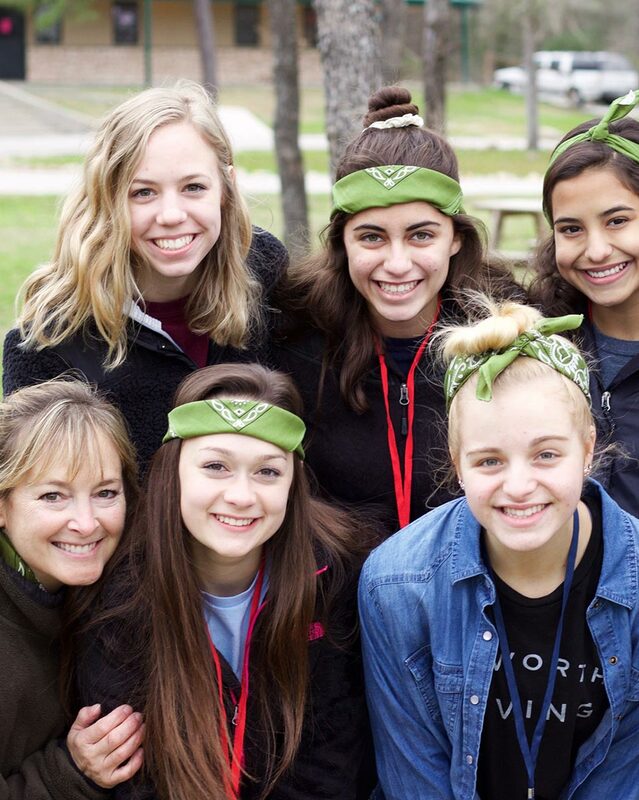 Stressing Stewardship as a way of life, our parish has over 100 active ministries with hundreds of parishioners active in parish, local community, diocesan wide, and global outreach. Responding to many parishioner inquiries over the past several year, the books on the historical founding and first three years of the formation of our parish are now available for purchase direct from the publisher online. The books, written by a founding parishioner, Joe Weber, were last printed in 2006. Volume I – The written Story, and Volume II – Color Pictures, Exhibits and Commentary, can be obtained on a single item/order basis from Author House. The prices are on a non-profit, cost-to-publish basis. Author House Online Bookstore. Bishop Joseph A. Fiorenza announced the formation of a new parish, St. Anthony of Padua, on June 3, 1997. By September 7 of that same year, the founding families gathered in the Oak Ridge High School cafeteria to celebrate Mass for the first time. 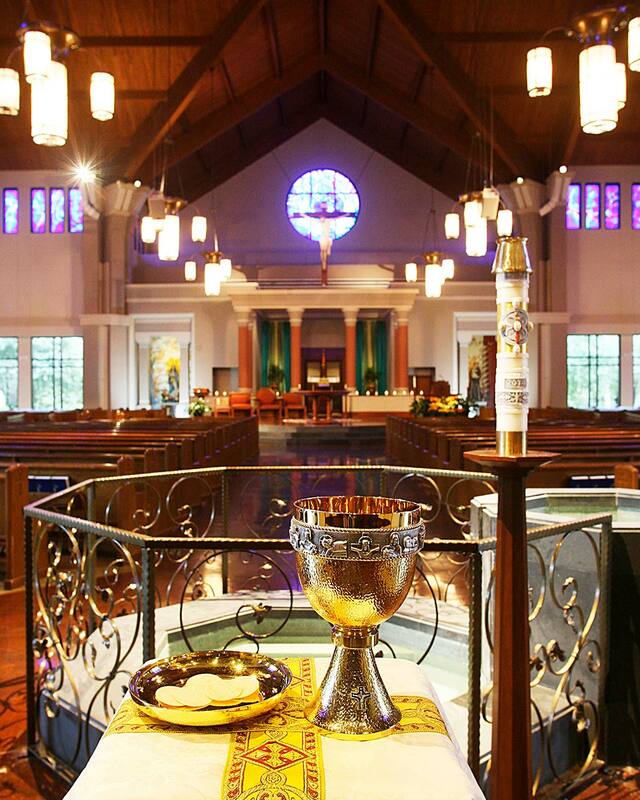 This became the parish home on Sundays for the next 3 years and thus the nickname of "St. Oak Ridge" was affectionately born. The original mission statement of the parish was adopted the next day on September 8th, the day the global Church celebrates the birth of Our Lady. 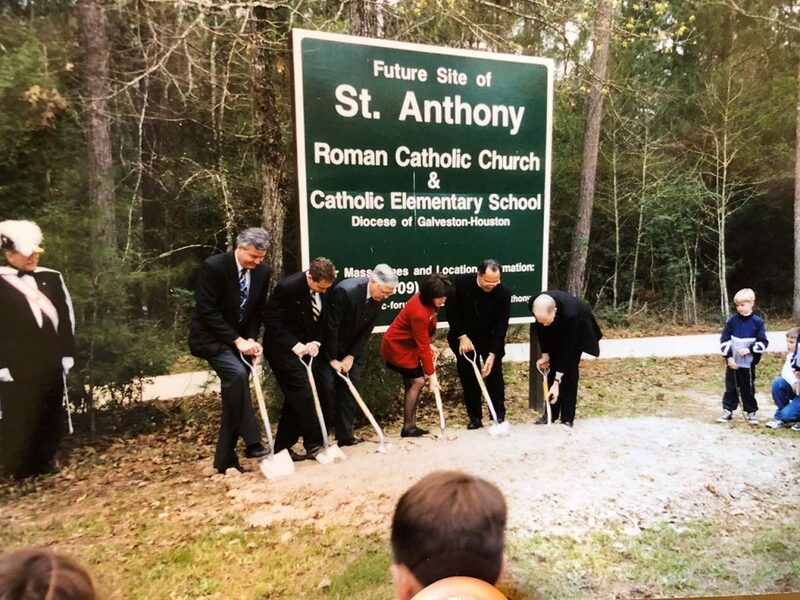 After months of town hall meetings and the establishment of the "Founders Fund" Capital Campaign, the groundbreaking ceremony for the parish's new home on Bay Branch Drive took place on March 7, 1999. Official construction began later that year on July 27, 1999. The Parish Life Building & the Fellowship Hall (now known as Sheltz Hall) were the first buildings completed on the new Bay Branch campus. These two buildings opened on August 20, 2000, almost exactly 3 years after the first Mass had been celebrated at Oak Ridge High School. These two buildings quickly became the hubs of activity outside of liturgies on campus. After much anticipation and sacrifice, the main sanctuary of St. Anthony of Padua opened it's door for the first Mass on Sunday, December 17, 2000 just before Christmas. The Mass was a time of great celebration for the many families who gave so much to establish a Catholic community on the western half of The Woodlands. 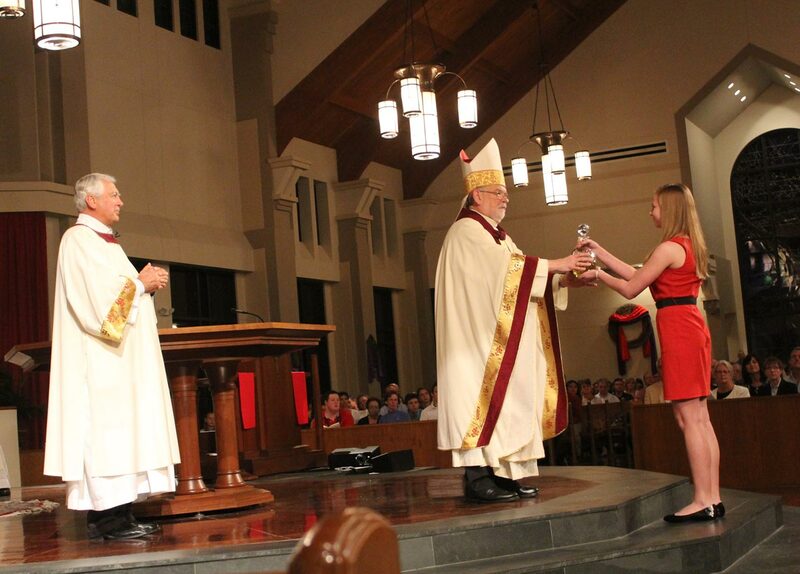 By the time the first Mass was celebrated, the parish community had grown from 300 families to 1,500 families. The new church was formally dedicated on February 25, 2001 by Bishop Fiorenza.